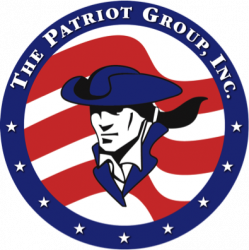 Founded in 2012, The Patriot Group, Inc. (TPGI) is a Professional Recruiting Company. ​Today TPGI supports clients across the country with executive and specialized direct placement support. We have a large nation-wide candidate database. All supported by a robust applicant tracking system (ATS) to better track our candidates and to better service all of our clients. More importantly finding the right people that are the right fit for your company. TPGI understands the needs for each company is different and that is why we customize all of our services in order to better serve each and every one of our customers. Everything we do is based on three defining principles and that is integrity, trust and commitment to customer service. Email me jobs from The Patriot Group Inc.